We decided to stay at the Universal Hilton since it’s right across the street (literally) from Universal Studio Hollywood. This seems like a really nice hotel, and I am sure it will be once all the construction on the lobby is completed. It’s still nice, but very loud, and the make shift lobby (in a hallway) wasn’t all that effective. The staff were very friendly, though. The ticket options for Universal all plentiful: one day, multi day, VIP, front of the line, etc. Ultimately we decided to buy the California Neighbor Pass, as it was literally the same price as a 2-day ticket. We knew we’d utilize it for both Tuesday and Wednesday while we were there, and if we never came back, we still broke even. And, if we find ourselves in that neck of the woods within the next 9 months, we can pop in again! So it’s Tuesday late morning, we’ve checked in to our hotel and we’ve got a great view of the parks from our room, as you can see below. Now it’s time to head on over! 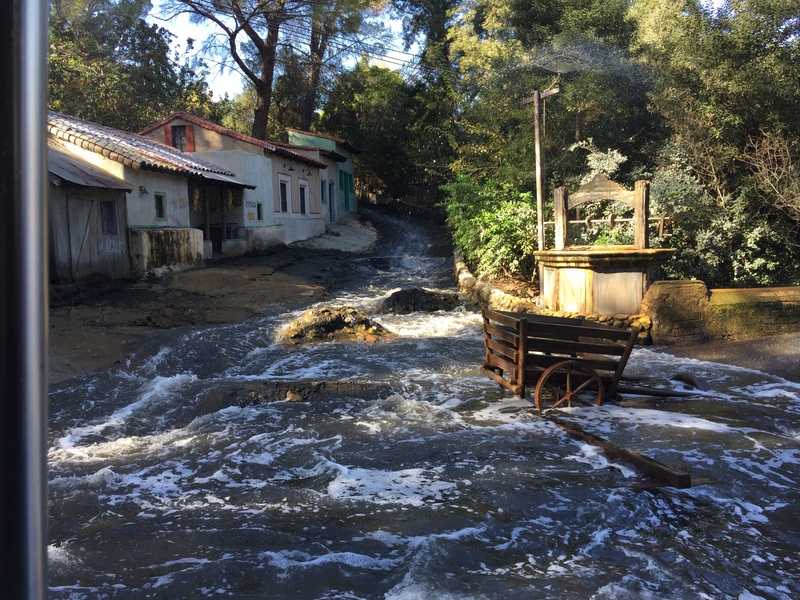 Then we walked right up to the turn stiles and redeemed our paper ticket for our California Neighbor Pass… which is basically a small, flimsy paper ticket. How do people use this regularly without it being torn to shreds? Not sure. But, alas, we were in. It was a bit more crowded than I expected, but not crazy given it was mid-day. 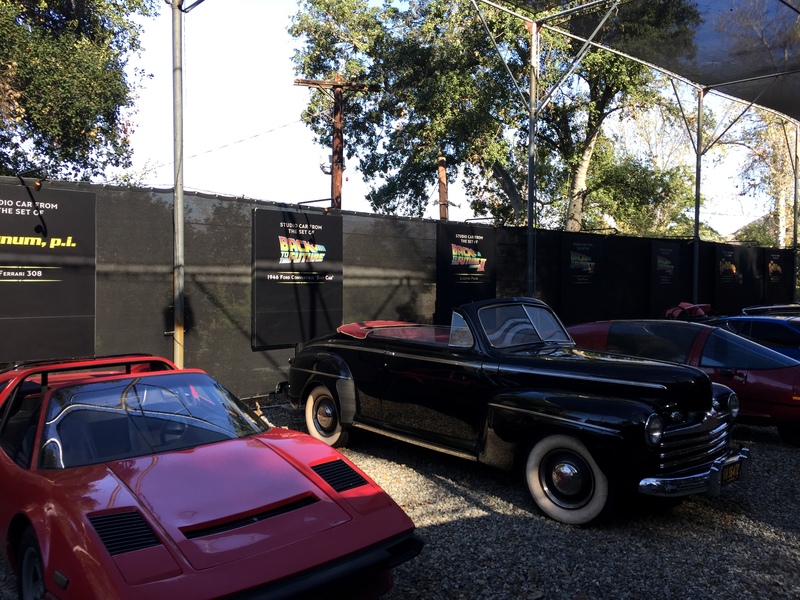 Our first stop was the Studio Tour, which we’d heard was still a lot of fun and we would have to agree. After a 35 minute line we buckled up for our 45 minute studio tour. Beyond seeing some of the sets along the way, they pack some pretty fun stuff in, namely classics like Jaws and Earthquake, along with new stuff like King Kong 3D and Fast and the Furious 3D. We both enjoyed the studio ride a lot, and makes me (as a Disney fan) yearn for the Backlot Studio Tour that’s forever gone at Hollywood Studios in Orlando. By this point we’re pretty hungry, so we head to Springfield USA (aka Simpsons land) and its pretty crowded. I guess everyone else was hungry, too. 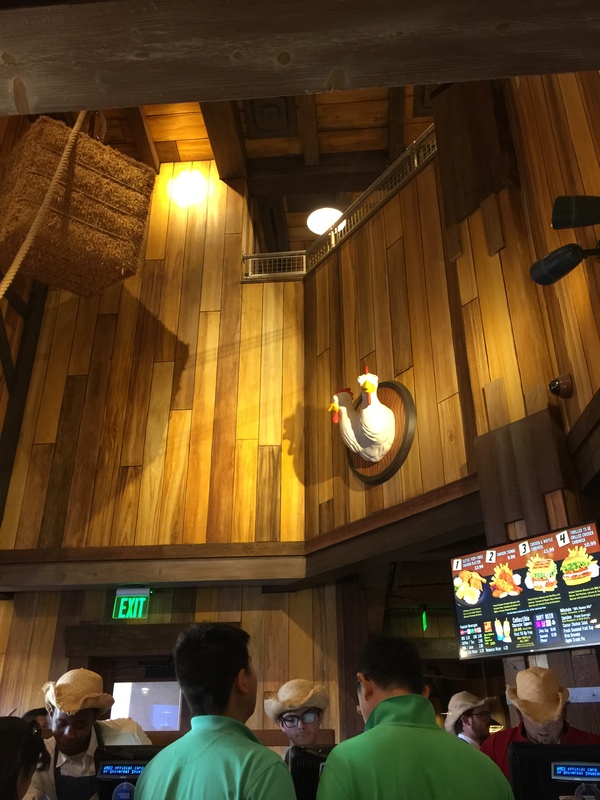 The theming here is really cool, and there are lots of hidden gems (like Sideshow Bob scaling down the prison wall, for example) to spot if you take your time. Lots of food options here, too, which is great. 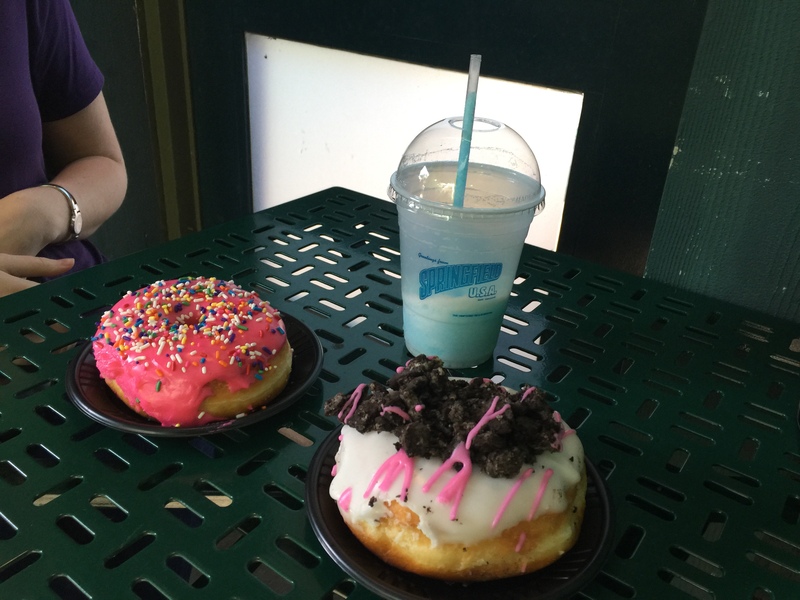 We decided to do Cletus’ Chicken Shack for lunch and the Lard Lad Donuts for dessert, both of which were very tasty. 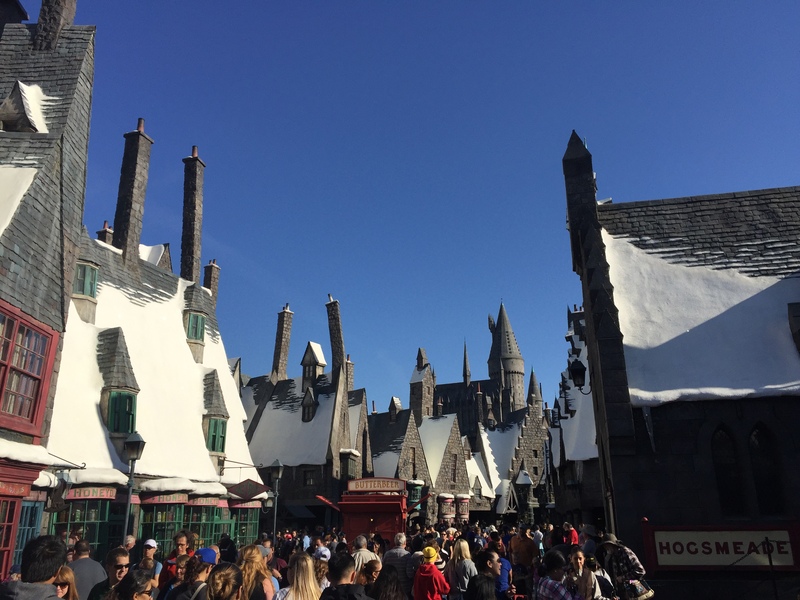 Now that we’d eaten, our next stop was the Wizarding World of Harry Potter. 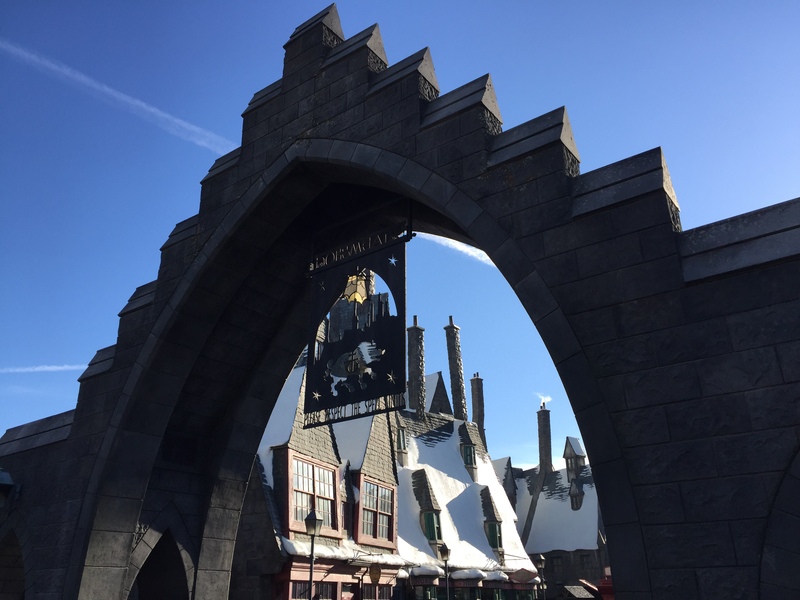 Neither of us are really Harry Potter fans, but we enjoy strong theming and wanted to check it out. The land is actually pretty compact which makes sense given Universal Hollywood’s lack of space, but they did a nice job with what they had. Unfortunately, right now all the lines were way too long to do anything (even the wand shop had a line of like 45 minutes to get in) so we decided to go walk around and come back here at night for dinner. We strolled around Universal and examined some of the other areas, but Simpsons and Harry Potter were definitely the best themed here. 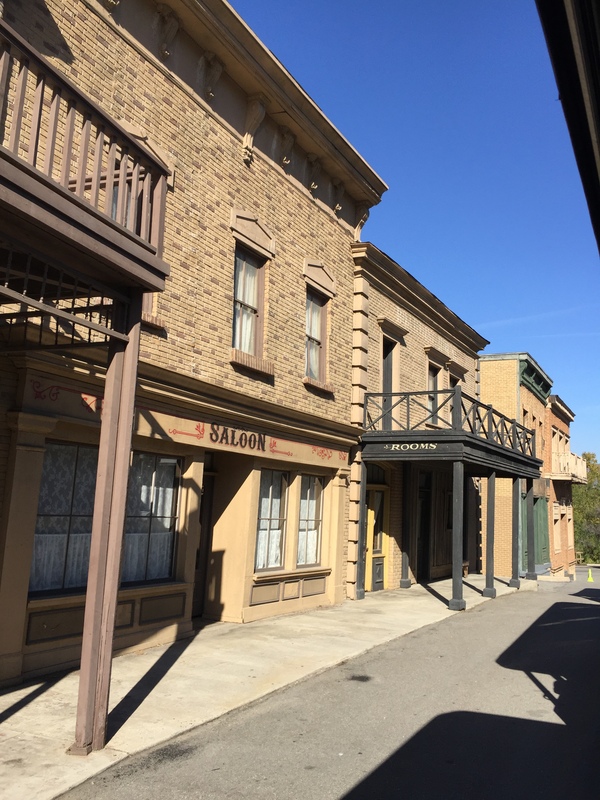 We decided to check out the Walking Dead Walk Through attraction, which was OK. It is themed quite well, but they send you in big groups (so the line moves) which means if you’re not first, you’re not really scared by people because you know where they are. It was cool feeling like you’re in the Walking Dead world, and its decorated really well, but it’s a one-and-done kind of thing for me. After that we headed back to the hotel for some mid-day R&R. We returned a few hours later, and our next stop was the lower lot which has a few rides, shops and food. The lines were all pretty long still, so I ventured into the single rider line for Jurassic Park the ride. My wife gave this one a miss (she isn’t that big on thrill rides) but I had an absolute blast! I thought the theming was really cool, and it was a good mix of “relax and enjoy the scenery” in the first half followed by suspense and a big drop at the end. I ended up riding it a few more times during our two days, and it was probably my favorite ride! Much to my disappointment, The Mummy ride was closed for refurbishment. This was a great ride at Universal Orlando so I was curious how they compared and if they were equally fun. Oh well. After exploring the lower lot we went back upstairs as it was getting dark and we were ready for some food. We’d decided already to do Three Broomsticks for dinner in Harry Potter land. The wait wasn’t bad- 20 minutes or so- and it was totally worth it. The theming here is fantastic even based on what little of the movies we had seen and the food was really delicious, too. 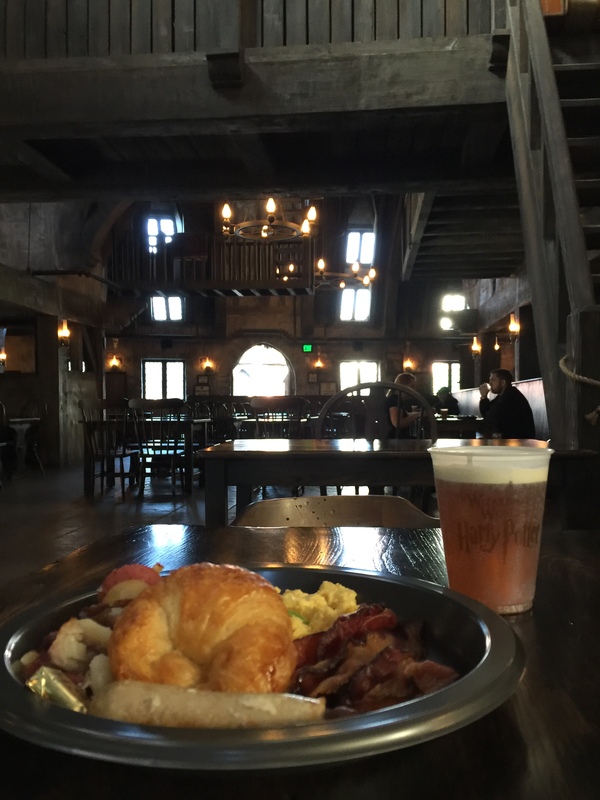 Especially the (cold) butter beer and the sticky toffee pudding for dessert. We were very much stuffed after we ate there… which was a bit silly, as we saved the rides for after dinner. First we did Harry Potter and the Forbidden Journey via Single Rider. I think the standby line was 90 minutes and we were on within 5 so that was amazing. It was a well themed ride, and Potter fans I am sure love it. For me, though, I am not a big fan of motion simulators and this had that kind of feel to it (even though its not your traditional motion sim). Also, the 3D glasses were pretty distracting, as it takes up like 40% of your line of sight, so you can’t really take it all in. I wonder if this is one reason Universal recently announced they are scuttling 3D on the ride altogether? At any rate, having a full stomach for this ride probably wasn’t a great idea, either. LOTS of fast motion. Once we finished I took some deep breaths and I was OK, but yeah, ride this when you’re not stuffed full of food. Also, and this is one place the lack of Disney difference shines through. Before you board, you have to dump your stuff into lockers. This is fine, except it’s just not organized. Before the ride they kind of toss you into a locker room every man for himself. And when you exit the ride, you’re in a gift shop, and you have to find your way back to the locker area. In general, execution here is not seamless and kind of confusing. Perhaps the downside to Universal cranking these lands out 2-3x faster than Disney, is that details like this fall through the cracks? Next up we did Flight of the Hippogriff which was right next door. The line was pretty short, and so was the ride! I think it lasted 30 seconds. Now, it’s actually a pretty fun 30 seconds AND you get a great view of the castle (school? I don’t know what the official Harry Potter name is) so that was cool and you can see a pic I shot from the ride below. Short and sweet, I’d actually recommend it if the wait is 15 minutes or less. After this, the wife and I strolled through Springfield USA a bit which was fun to see at night. 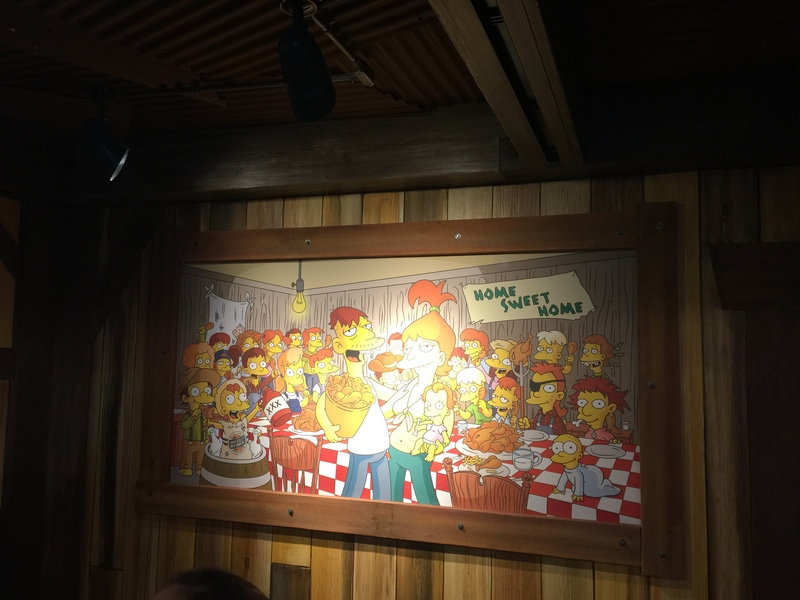 We decided to do one final ride: The Simpsons ride.The queue was a lot of fun, because the play Simpsons episodes on the TV monitors… but this is to help distract you from how long it takes to move through it, even when relatively empty. Once you get into the “staging area”, this was a lot of fun, too. They’ve got a few key characters who each give a random spiel while you wait. This was definitely a pretty intense motion sim, so half way through I wasn’t really feeling it anymore. Not a criticism of the ride itself, the movie was a lot of fun (and pretty crazy), but definitely a lot for anyone who isn’t into motion sims. After this, we strolled out slowly enjoying the park all lit up at night. After breakfast, I rode Hoppograff again because there was no line. Then I started to wander a bit, and at first I thought my eyes were deceiving me when I saw it on the attractions board… but after asking a staff member if it were true, she confirmed the Mummy ride had re-opened today! I was pretty excited, so I headed down to lower lot to be one of the first to ride it… but I had like 30 minutes until it opened. Though not a fan of motion sims, I did the Transformers 3D ride which was actually pretty cool. It’s got enough real motion that I felt pretty good after. 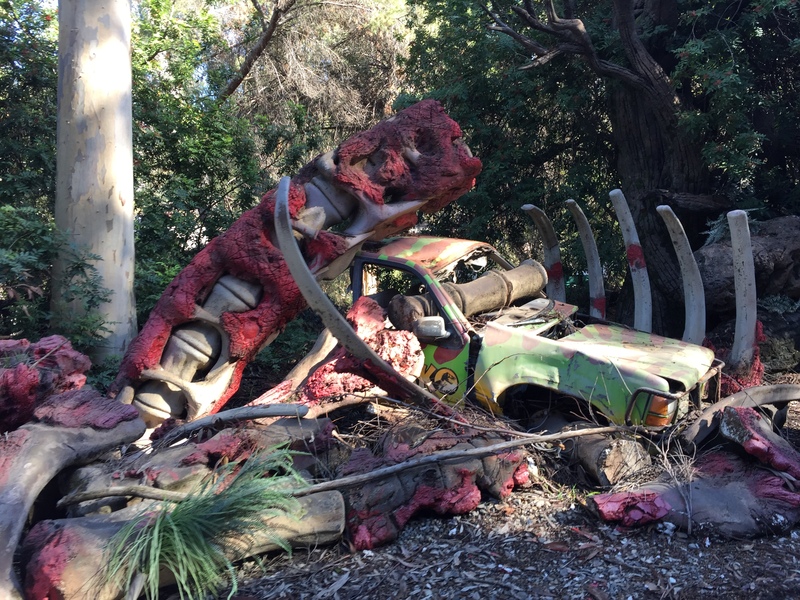 Next, I did Jurassic Park the ride again because as I mentioned I thought it was really fun, and no one was there yet. By this point, it was about 9.25 AM so I hopped in line for the Mummy where I was the sixth person or so. Obviously we got right on when it opened and away we went. I didn’t know anything about the ride, so the catapult launch at the start was pretty exhilarating, and in general the ride was a lot of fun. I won’t spoil all the surprises (there were a few) but in general I really liked it. Sadly, the part from the Orlando version where the ceiling catches fire was absent, but it was still a lot of fun. I had exhausted lower lot, so I headed back up to explore more. I checked out the Minion’s area and the other areas whose themes kind of escape me. After a while I was hungry and had a bucket list item to check off: getting a Krusty Burger! I headed back to Springfield USA and did just that. It was pretty good, nothing special, but I really enjoyed the ambiance so that made it all worth it. With a nice full tummy, I knew I didn’t want to do any rides, but I wanted to check out some of the shows. 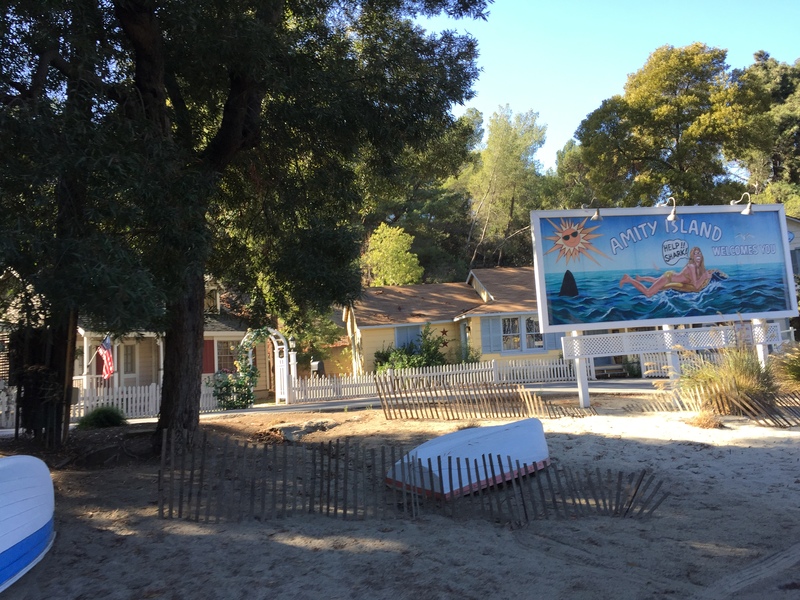 I did Waterworld first, which was a real riot and I’d highly recommend people check it out. Next, I did the Special Effects Show which was also fun. Had a good mix of effects and humor, though nothing they showed was all that revolutionary. But, there is only so much you can pack into 30 minutes, I guess. By this point it was time to return to the hotel to pack and check out since the next stop in our Thanksgiving visit was approaching quickly. 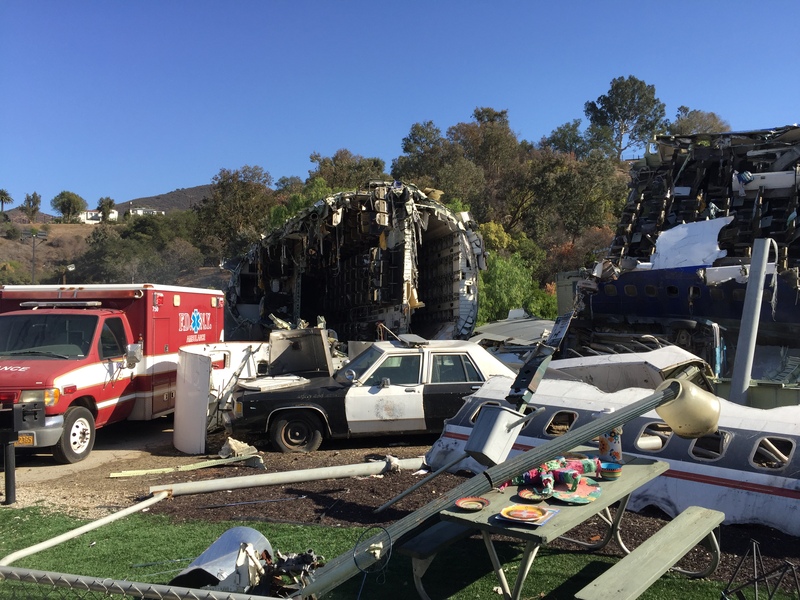 Overall, Universal Studios Hollywood is a fun place to stop in for a day (maybe even two). It’s not something I’d go out of the way for, but it’s got it’s charms and I’d encourage everyone to check it out. 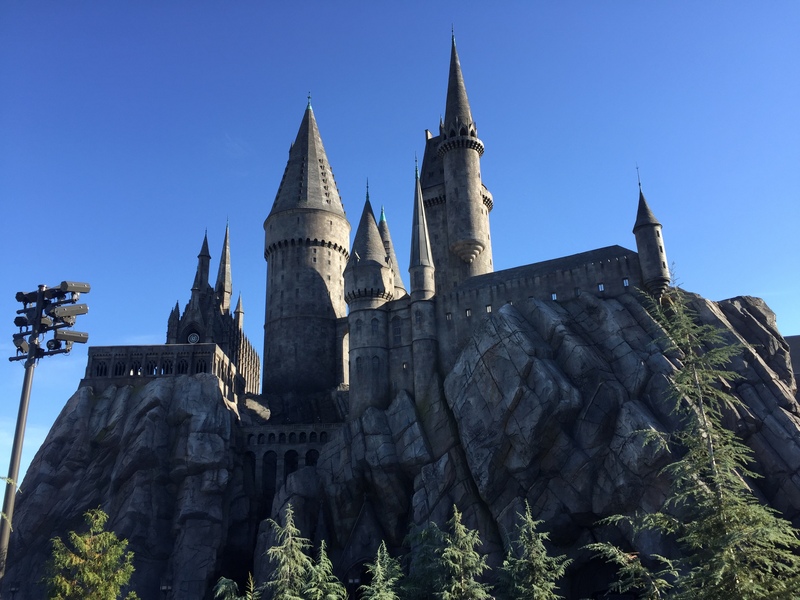 Springfield USA and Wizarding World of Harry Potter have great themes and are fun to explore. 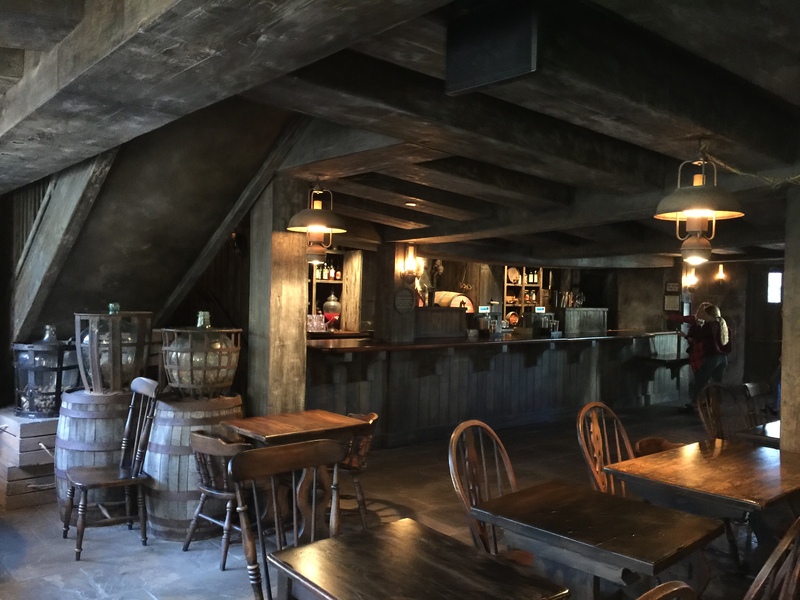 Three Broomsticks is the best restaurant in the park. The donuts at Lard Lad Donuts are HUGE and delicious but also reasonably priced. Studio Tour is a fun, unique experience. Waterworld was a great, enjoyable show. Food is tasty (despite being almost all quick or counter-service). Not a ton to do, especially on a quiet day. You could be done within 4-5 hours. Lots of motion sims, so if you don’t do well on those you’ll only be able to enjoy half the attractions. 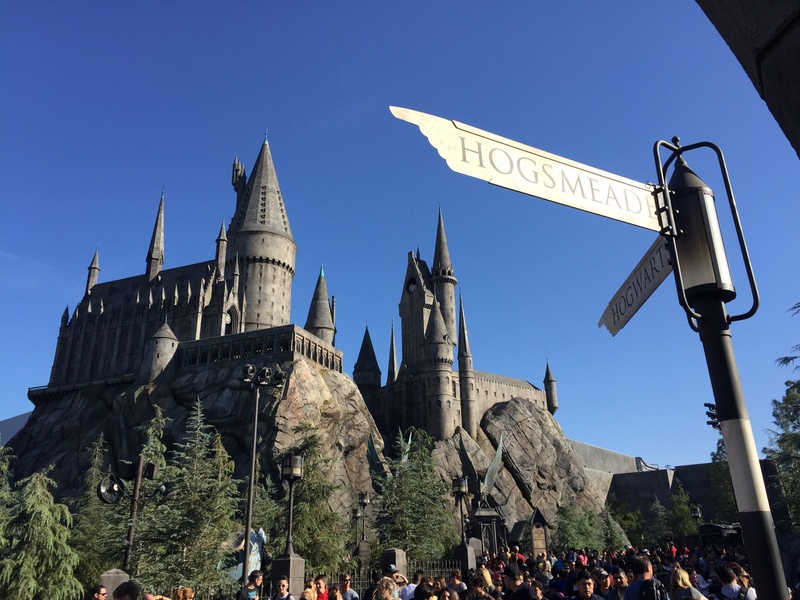 Lack of space sometimes makes it hard to navigate or find your way, and leads to some slight theme inconsistencies (example: you can see some of Springfield USA from Harry Potter land, a French-themed street leads directly to Minion’s Land, etc.). Not a lot of table service (nice, sit-down, be served at your table, etc.) options for dining.